For those of us who like to decorate, updating your bathroom can be an extremely gratifying investment of your money and your time. When you begin you will want to find a style that fits you. 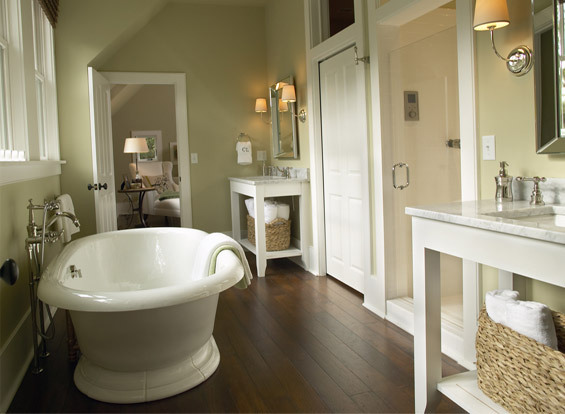 One great idea is to create a classis and elegant vintage style bathroom; one that will not quickly become outdated. You can get inspired by vintage architecture, for example American Bungalow magazine, museums, and interior magazines. 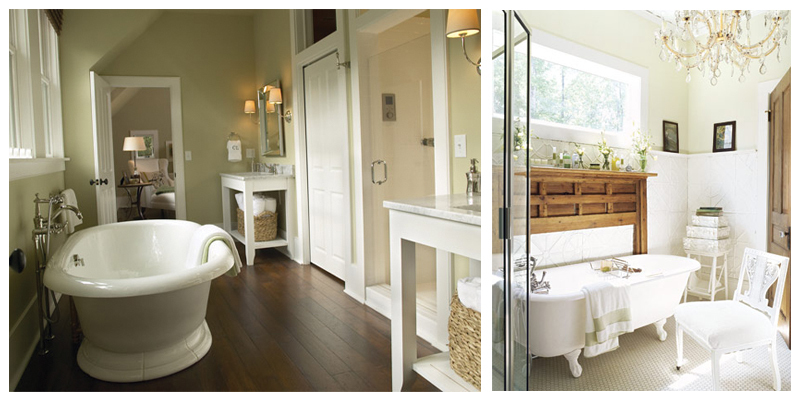 Try and capture a specific period with the right colors, fixtures (for example ones that have flourishes). Then decorate with antiques and make it your own by using family photos. Just remember have fun and keep it classic! Do you like the classic vintage look or would you prefer a more modern style? ~ by Fine Line Pacific on August 27, 2010.